1.1a. Board, means the Board of Governors of the University. 1.1b. 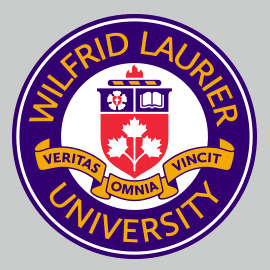 Act, means The Wilfrid Laurier University Act, 1973 and the Wilfrid Laurier University Amendment Act, 2001. 1.1c. Chair, means the chair of the Senate. 1.1d. chair, means the chair of the committee. 1.1e. Collective Agreement, means the collective agreement negotiated between Wilfrid Laurier University and the Wilfrid Laurier University Faculty Association, for full time faculty (July 1/2017 to June 30/2020). 1.1f. Department. The by-laws distinguish between two meanings of the word ‘department’. 1. A department, for the purposes of the administration of academic programs, means a department or division within the various faculties of the University heretofore or hereafter designated by the Board upon recommendation of the Senate. In the by-laws, this type of department shall be referred to as an academic administrative department. 2. A department, for the purposes of Senate representation only, means an academic unit (Faculty or School) of the University which is headed by a Dean, with the exception of the Faculty of Graduate and Postdoctoral Studies. In the by-laws, this type of department shall be referred to as a Senate representational department. 1.1g. faculty member, means a regular member of faculty as defined in the Act. 1.1h. Academic librarian means a regular member of the professional librarians. 1.1i. Secretary, means the secretary of the Senate as provided in By-law 2.2. 1.1j. secretary, means the secretary of a committee. 1.1k. Presiding officer, means the Chair, Vice-Chair, or in the absence of either, the person so designated by the Senate. 1.1l. members, means members of the Senate. 1.1m. Brantford Campus means the Brantford campus of Wilfrid Laurier University. 1.1n. Waterloo Campus means the Waterloo campus of Wilfrid Laurier University. 1.2.a. The definitions in this by-law are those expressed in The Wilfrid Laurier University Act, 1973, the Wilfrid Laurier University Amendment Act, 2001, Senate By-law No. 1, and any subsequent amendments thereto. 1.2.b. "Union" means Wilfrid Laurier University Students' Union. "Graduate Association" means Wilfrid Laurier University Graduate Students’ Association. 1.2.c. Undergraduate students are students who are admitted to the University and registered in one or more courses, placements or other educational activities recognized by the Senate of the University as requirements of some undergraduate degree or diploma program. 1.2.d. Graduate students are students currently registered in the graduate programs of the University. "By-law" is defined as a standing rule created by the Senate for the purpose of governing its internal affairs and its external relations. "Regulation" is defined as a rule of order prescribed by the Senate to regulate conduct within the Senate. The primary difference between these two categories of rules which determine the structure and direct the action of the Senate is the process of creating and changing them. By-laws are created or amended upon receiving affirmative votes from at least two-thirds of those voting at the Senate meeting, provided that the number of affirmative votes constitutes a majority of the total membership of Senate. Regulations are created, changed or abandoned by motions which receive the affirmative votes from a simple majority of those present at the Senate meeting. By-laws and regulations refer to the structural organization of the Senate and to its internal operations; consequently they fall within the purview of the By-laws and Regulations Committee. All by-laws are to be reported to the Senate by this committee, whereas regulations will normally reach Senate consideration by avenues other than this committee. However, when the relationship of the University Act or the Senate by-laws to any proposed regulation is in doubt, the question may well be referred to the Senate By-laws and Regulations Committee for advice. The By-laws and Regulations Committee will interpret Senate by-laws and regulations not only to the Senate but to individuals and bodies of the University outside the Senate. Such requests for interpretation and information are not necessarily reported to Senate. "Policy" is defined as a statement of principle or intent designed to direct future decisions and actions. As such, a Senate policy is understood to have broad meaning for the direction of the educational affairs of the University. The implementation of such policy is carried out through Senate committees or a variety of university administrative and faculty offices and bodies following procedures, which the committee defines as rules prescribed for conduct and for implementation. For clarity, for coherency, and for the best understanding of academic responsibilities and roles, these policies and procedures should be established deliberately and clearly by the Senate. It is the responsibility of implementing bodies, whether Senate committees or other university offices or units, to seek Senate approval for any course or action relating to educational policies and procedures which fall within the Senate's responsibilities as established by paragraph 19 of The Wilfrid Laurier University Act, 1973. Those recommendations considered in the above will be made directly to the Senate from their sources without referral to the By-laws and Regulations Committee. Should any such recommendation appear to affect the structural organization and internal actions of the Senate, the matter might well be referred to the By-laws and Regulations Committee for its recommendations, but Senate actions on educational policies do not in themselves fall within the terms of reference of this committee. "senator at large" is used without hyphens or capitalization of "large". The term "senator at large" means any senator. "Faculty-at-large members on the Senate" which is defined in section 3.3 (c) of these by-laws, is never abbreviated and always appears with hyphens and upper case F.
The Vice Chair shall be elected for a three year term pursuant to the procedure outlined in section 6.1.1 of these by-laws. A member of the Senate who is designated as an ex-officio member under the Act or in the by-laws is not eligible for election as Vice Chair. There shall be a Secretary of the Senate who shall be elected by Senate for a three year term from among the faculty members and the academic librarian member of Senate (as defined in the Wilfrid Laurier University Act 1973 as amended 2001), and shall hold office during the pleasure of Senate. The Secretary shall have such powers and duties as are provided for herein, or as from time to time may be conferred upon or assigned to him/her by the Senate. Subject to the provision of the Act, the Chair of the Senate may, upon motion of the Senate, appoint such other officers as may be necessary, and the Chair shall have control over their terms of employment, remuneration, and removal from office. Except where otherwise provided in the Act, in the event of a vacancy in any office of the Senate for any reason, the Chair of the Senate shall, by motion of the Senate, appoint a successor to hold office for the balance of the term of the person whose office so falls vacant. There shall be a University Bedel, a University Marshal, a Vice-Marshal and a Convocation Convenor each of whom shall be appointed by the Chair of Senate and shall hold office during the pleasure of the Chair of Senate. Responsibilities: The University Bedel shall bear the University mace before the Chancellor at University Convocations and shall perform such other duties as may be assigned by the Executive Committee of Senate. The University Marshal shall be responsible for the organization of University Convocations under the direction of the Executive Committee and shall perform such other duties as may be assigned by the Executive Committee of Senate. The Vice-Marshal shall assist the University Marshal, assume the responsibilities of the University Marshal in the absence of that officer, and perform such other duties as may be assigned by the Executive Committee of Senate. The Convocation Convenor shall perform such duties relating to University Convocations as may be assigned by the Executive Committee of Senate. 3.1a. Elections to fill vacancies will take place each year for undergraduate and graduate student senators, preferably before the first meeting of the Senate session. Note: the Senate Session is for the period of July 1 to June 30. 3.1b. Candidates on the undergraduate and graduate slates will be ranked according to the number of votes received in the elections with the first rank on each slate going to the student receiving the most votes in that election; subsequent ranks on each slate will be assigned in descending order according to the descending number of votes received. The undergraduate and graduate slates will, respectively, fill: 1) normal two-year term(s), 2) any unexpired term(s) then vacant, 3) the position of alternates who will fill any student Senate membership which might fall vacant before the next election. Vacancies in categories 1, 2, and 3 will be filled in that order by the ranked students in descending order until all vacancies are filled. 3.1c. Supervision and management of all elections in subsections (a) and (b) is to be conducted by the University Secretariat in consultation with WLU Students’ Union the WLU Graduate Students’ Association and in accordance with the provisions of this by-law. 3.1d. All students as defined in the Act and Senate by-law section 1.2 shall be eligible for nomination for the position of student senator and shall be eligible to vote in all such elections, subject to stipulations in this by-law with respect to undergraduate and graduate students and campus affiliation. Registration at another university by letter of permission shall not, in itself, render a student ineligible to serve as a student senator. 3.1e. All students shall be given opportunities to nominate candidates and to vote for those nominated. Nominations will be open for a minimum of one week prior to the start of campaigning; the campaign period will be a minimum of one week prior to the election; and there will be a minimum of eight hours for voting. Appeals must be submitted to the Chief Electoral Officer within 24 hours of the close of polls. 3.1f. The results of the election shall be given by all reasonable means of communication to the students within three days of the election, excluding University holidays but including Saturdays and Sundays. Section 15, subsection 1 (b) 3 of The Wilfrid Laurier University Act stipulates that the Senate will appoint "two members ... to represent the secondary school system of Ontario". 3.2a. When there is a vacancy in one of these positions on the Senate, the Senate Nominating Committee will bring a nomination or nominations to the floor of the following Senate meeting to fill the said vacancy. 3.2b. In addition, nominations for the vacancy can also be made from the floor. 3.2c. The Senate will proceed immediately to vote by secret ballot to fill the vacancy. Section 15, subsection 1(b)5 of the Wilfrid Laurier University Act, 1973, as Amended, 2001 stipulates that there will be elected to Senate "members of faculty and the academic librarian together equal in number to one more than the total number of all other members of the Senate." i. No Senate representational department shall have less than the representation of a federated or affiliated college, i.e., two faculty senators. 2. The distribution of faculty senators by Senate representational department shall be evaluated bi-annually by the By-laws and Regulations Committee, using the formula in procedure 9.3. The results – and any recommended change to the distribution of faculty representation – shall be reported to Senate. In case of vacancies which occur before the expiry of a term of office, the above electoral by-laws will be implemented upon request of the Chair of Senate or by a signed petition to this effect by at least ten (10) of the faculty members on the Senate. Ex-officio members on Senate hold their membership by virtue of their office. Membership on and obligation to Senate are assumed by whoever occupies the office, whether in an acting or permanent status. As per Section 15, subsection (1)(a) of the Act, the following shall be ex-officio members of Senate: the Chancellor, the President, the Chair of the Board of Governors, the head of each federated or affiliated college, each Vice-President, the Dean of each faculty of the University, the University Librarian, and the Registrar. The Associate Vice-President: Teaching and Learning shall be an ex-officio member of Senate. Section 15, subsection (1)(b)5 of the Wilfrid Laurier University Act, 1973, as Amended, 2001 stipulates that the composition of Senate shall include "one member elected by the academic librarians from among the academic librarians." The academic librarian will be elected in a manner to be determined by the Library Council. Section 15, subsection (1)(b)6 of the Wilfrid Laurier University Act, 1973, as Amended, 2001 stipulates that the composition of Senate shall include "One member elected by the administrative staff of the University from among the administrative staff." 3.7a. The University Secretariat shall conduct the election for the administrative staff representative to the Senate. 3.7b. Sufficient notice of nomination and election periods must be given. 3.7c. Every member of the constituency must be given an adequate opportunity to nominate and vote for the representative. 3.7d. All elections must be by secret ballot. Ballot counting must be properly supervised. The Senate session shall be that twelve (12) month period which has been established as the membership year by the Board of Governors, from time to time. The May meeting shall be the annual meeting and at such annual meeting the Senate shall, by resolution, for the forthcoming Senate session, appoint a day or days in any month for regular meetings at an hour to be named in such resolution. Notice of annual and regular meetings of Senate shall be sent to members at least seven days prior to meeting. Notice of all meetings and agenda shall be posted at a conspicuous place or places on the University premises. The Senate shall hold not fewer than seven regular meetings during the membership year, including at least three meetings in each of the fall and winter terms. The Secretary will be required to establish the dates for these seven meetings and present them for Senate approval at its annual meeting. 4.3a. Special meetings may be called and held at any time at the call of the Chair, or in the case of his/her absence or illness, at the call of the Vice-Chair, or in the case of the absence or illness of both, at the call of the presiding officer of the Senate. 4.3b. On the requisition in writing to the Secretary of Senate of not fewer than fifteen (15) members of the Senate, special meetings shall be called and held at the date and time set out in such requisition. 4.3c. The call for a special meeting shall state the nature of the business to be transacted and shall be given to each member of the Senate, at least two clear days, excluding Saturdays, Sundays, and statutory holidays, prior to the day appointed for the meeting. Only such items of business for which the special meeting has been called shall be dealt with at said meeting. Unless otherwise directed by the presiding officer, all meetings of the Senate shall be held on a campus of the University. Quorum for all regular and special meetings of Senate shall be a majority of all the members of Senate, as specified in article 18 (2) of the Act. A duly called meeting, which starts with a quorum present shall be deemed to have a continuing quorum notwithstanding the departure of voting members, unless the quorum is challenged by a voting member. In the event of a challenge the remaining members may choose either to adjourn the meeting or to continue the meeting. In the latter case, the minutes shall record that all further business was transacted without a quorum being present. The actions taken after the loss of quorum would then be subject to a ratification vote at the next meeting of Senate. The accidental failure to give notice of a regular or special meeting to any member of the Senate or any accidental irregularity in connection with the giving of notice shall not invalidate the proceedings at the meeting. 4.7a. The agenda for a meeting shall be prepared by the University Secretary and shall be approved by the Executive Committee, or by the Chair if that committee does not meet prior to the meeting of the Senate. 4.7b. All matters for inclusion in the agenda for regular meetings of the Senate must be in the hands of the University Secretary not less than ten (10) days before the day of the meeting at which they are to be presented, and only those matters which have been placed in the hands of the University Secretary shall be included in the agenda. Items of business shall normally be placed on the agenda and presented to the Senate by any member of the Senate. Except for the reports of the officers of the University and of committees, items of business furnished to the University Secretary for inclusion on the agenda shall be summarized on a form provided by the University Secretary for that purpose, together with relevant supporting documents where necessary or advisable. 4.7c. For the assistance of members, the University Secretary will forward copies of the agenda and supporting materials to members at least two days prior to meetings. 4.7d. The business of a meeting shall be confined to the agenda and no new matter, other than that of privilege or petition, shall be dealt with unless the introduction of such new matter shall be approved by a majority of members present. The Chair shall be notified before the meeting of new items submitted for inclusion on the agenda and, at the commencement of the meeting, he/she shall request a motion concerning the disposition of such items. Save and except where it is otherwise herein provided, the action of the Senate upon any matter coming before it shall be evidenced by either by-law, regulation, or resolution, and the entry thereof in the minutes of the Senate shall be prima facie evidence of the action taken. Minutes of all meetings of the Senate shall be kept by the University Secretary, who shall also obtain and keep on file minutes of all meetings of Senate committees and councils. The minutes of every public Senate meeting shall be distributed to the members of Senate and after adoption by Senate at the next regular meeting they shall be signed by the Chair and the Secretary of Senate. Certified copies of all minutes of meetings of Senate and of committees and councils thereof shall be deposited in the University Library and Archives. d. could reasonably be expected to prejudice the economic or financial interests or the competitive position of the University. 4.10.2 When the Senate or any of its committees declare a meeting or part of a meeting in camera, reasons for so declaring will be clearly stated and minutes of the in camera session will be kept separate but consistent with the normal procedures of the group in question. 4.10.3 In camera minutes shall be approved at the next in camera session. In the case of Senate such approval must occur no later than at the next annual meeting. Following approval, in camera minutes will be sealed in an envelope and sent to the University Secretariat. The outside of the envelope will clearly indicate the group which has met, the date of the meeting, and that in camera minutes are enclosed. The University Secretary will ensure that these minutes are kept in a safe and secure place. 4.10.4 Access to in camera minutes is restricted unless permission is granted by the Senate Executive Committee. Permission will normally be granted to those present at a meeting. 4.10.5 Attendance at in camera meetings is restricted to the members of the committee or council, and any other individuals as approved by the committee or council. 4.11.1 When Senate or any of its committees or councils will be considering supporting materials that impact the strategic or competitive position of the University it may consider treating all materials relating to the agenda item as embargoed. During embargo, access to embargoed materials will be restricted to members of Senate and its committees and councils. 4.11.2 Material pertaining to cyclical reviews and new programs may be automatically embargoed, and the embargo will end upon a final decision by Senate. All other matters to be embargoed must be approved by Senate. 4.11.3 When Senate or any of its committees or councils requests that supporting materials be embargoed, an end date for the embargo and the reasons for so declaring will be clearly stated. 4.11.4 Agendas and minutes relating to embargoed supporting materials will be publicly posted. Only the supporting materials shall be embargoed and confidentially retained by Senate and its committees and councils. No member shall be represented by proxy. This statement applies equally to Senate and to Senate committees. Ex-officio members may send someone as observers to a committee meeting or to the Senate, but such persons are not members of the committee or Senate for that meeting. The Chair of the meeting shall conduct the proceedings in conformity with the by-laws of the Senate, and if not provided for therein, in accordance with the rules of procedures as specified in Robert’s Rules of Order, latest edition. Regular and special meetings of the Senate and its committees shall be open to the public and no person shall be excluded therefrom except for improper conduct, or except as provided for under the Act. Non-members of Senate or its committees may be heard if recognized by the Chair of Senate at meetings of Senate, or by the chair of a committee of Senate at such committee meetings or by a one-third vote of the members present, except when the meeting reconvenes "in camera" as provided for under section 24 (2) of the Act. Notice of all meetings and agenda of the Senate committees shall be posted at a conspicuous place or places on the University premises. The University Secretary shall be entitled to attend meetings of Senate, including in camera sessions except in a case of conflict of interest, and shall have voice but not vote. Committees of Senate shall perform the functions specified below together with such other duties as are from time to time assigned. All Senate committees, unless otherwise decided by the Senate, shall reflect as far as possible the composition of the Senate as established by the Act. Where committee membership stipulates "faculty" it shall be understood to mean "full-time teaching faculty". Except where otherwise specified, committee members, other than students, shall be elected by the Senate for a three-year term in a manner which shall provide a one-third rotation of membership each year; student members shall be elected for a one year term. Ex-officio members of Senate committees, unless otherwise decided by Senate, shall have a vote. Except where otherwise specified, the committee members shall elect their chair from among those members who have been elected to the committee. A record of the actions of all committees shall be kept and annual reports shall be made to the Senate and deposited with the University Secretary. Vacancies on Senate committees may be created, and shall be filled, in the same manner as provided for under the by-laws and the Act for vacancies on the Senate. 5.1a. At the annual meeting of Senate each Senate committee and divisional faculty council shall give an adequate accounting of its activities during the year, including attendance numbers and the activities of any sub-or ad-hoc committees. 5.1b. Each committee and council shall provide two copies of their report to the University Secretary by May 1st, for compilation in booklet form. 5.1c. Recommendations shall be submitted separately in the usual manner, not included with the content of the annual report. Senate expects its members to fulfil their obligations by serving on one or more committees of Senate. In addition, Senate instructs the Senate Nominating Committee to circulate this resolution to each member of Senate when it seeks nominees for vacant positions on Senate committees. Where Senate committees require faculty members of a particular status, such as rank, tenure or otherwise, eligibility for election shall be determined according to the status as of July 1 following the election as evidenced by the appropriate minute of the Board of Governors, but the committee member elect shall not assume office until July 1 following the election. In the unlikely event that a Senate committee is unable to function because of the above provision, the Executive Committee of Senate shall, having regard for the required composition of the committee, appoint an interim member to serve until July 1. Where a faculty member's status changes during the committee year, the faculty member shall, except as provided for above, retain his/her membership until the end of the committee year. When a faculty member on a Senate committee is granted a leave of absence without pay (including public service leave without pay), the faculty member's position on the committee shall become vacant upon the commencement of the period for which leave has been granted. When a faculty member of the Senate or a faculty member of a Senate committee is granted a sabbatical leave commencing before the expiry of the member's term of office, the University Secretary shall write to the faculty member requesting that he/she inform the Secretary of Senate and the University Secretary whether he/she intends to resign from the Senate and/or Senate committees. This notification shall advise the faculty member to review plans for the leave, and shall state that continued service in office carries with it the expectation that the faculty member will be able and willing to undertake the full obligations of Senate membership and/or membership on its committees. The letter shall also inform the faculty member that notice in writing of his/her resignation or willingness to continue in office shall be sent to the University Secretary no later than March 1st for a leave commencing July 1st and no later than October 1st for a leave commencing January 1st. With respect to the Promotion and Tenure Committee, a faculty member who has been granted leave of absence without pay for any portion of the forthcoming winter and spring terms shall not be eligible for election. The position of a Promotion and Tenure Committee member granted leave for any portion of the forth-coming winter and spring terms shall become vacant on September 1 preceding these terms. The Nominating Committee of the body responsible for the election of the faculty member to whom leave has been granted shall, at the time of committee elections for that body, report his/her status to the body which will elect a committee member to serve the unexpired portion of the term of the member to whom leave has been granted. Quorum for the Senate Promotion and Tenure Committee shall be as stated in the Collective Agreement. Quorum for University Faculty Council shall be 10% of eligible membership, as defined in article 5.7. Unless otherwise stipulated by Senate, quorum for all other committees shall be a simple majority (greater than 50%). All students as defined in the Wilfrid Laurier University Act, section 2, sub section (p) are eligible for those positions on Senate committees which are identified simply as "student”. Only undergraduate students as defined in section 1.2 of the By laws and Regulations are eligible for those positions identified as "undergraduate student". Only graduate students as defined in 1.2 are eligible for those positions identified as "graduate student". The University Faculty Council shall consist of all full-time faculty of the University, the University Librarian and all librarian members of the Bargaining Unit as defined by the Ontario Labour Relations Board Certificate, number 0477-88-R, dated October 3, 1988, and all part-time contract academic staff of the Bargaining Unit as defined by the certificate of the Labour Relations Board, number 2704-00-R dated January 10, 2001. The Provost and Vice-President: Academic shall be the presiding officer. The University Faculty Council shall elect members to the Senate Promotion and Tenure Committee and other committees so specified in the Collective Agreement. This faculty council shall also serve as a forum for the discussion of University-wide issues and may send recommendations to Senate. The Senate shall create divisional Faculty councils with divisional Deans as chairs. Unless otherwise approved by Senate, the divisional Faculty councils shall consist of all full-time faculty in each division and at least one (1) student representative of each academic administrative department having a program within that division. Normally, all recommendations, including recommendations for changes in the curriculum, shall come from the divisional Faculty councils before approval by Senate. The Senate may create such other councils and committees from time to time and the Senate may delegate other duties to and shall seek the recommendations of the various University councils. The various University councils and committees may also prepare recommendations for Senate on matters of interest to the councils and committees. These councils and committees will report to the Senate detailing in writing their membership, activities, and recommendations. The meeting of these councils and committees shall follow the same procedure as used in Senate and its committees. All councils and committees of Senate may establish such sub-committees as may be required to carry out the responsibilities of such councils and committees. At the close of the nominations procedure for any standing committee, the University Secretary shall conduct elections by mailed ballot. Responsibilities: The Nominating Committee shall have the responsibility of preparing a list of nominees to Senate committees for the annual meeting or as required. The Nominating Committee may select nominees from outside the Senate except where otherwise stipulated. The establishment of a list of nominees does not preclude nomination from the floor. Membership: The Nominating Committee shall consist of 7 members: four faculty members, including at least two senators and at least one member from each of the Brantford and Waterloo Campuses; 1 member of the WLU Alumni Association; 1 student senator; 1 member of the administrative staff. The chair of the committee shall be elected from among those members who have been elected to the committee as specified in article 5.1. Senate will accept nominations from the floor in addition to the list prepared by the Nominating Committee, without the prior consent of the nominee, and whether or not the nominee is present. Should nominations be made from the floor, the Secretary of Senate shall determine the eligibility of those so nominated and seek the written consent of all such nominees. Such written consent shall be received within five working days of the meeting of Senate. The Secretary of Senate shall convey all information regarding eligibility and consent to the University Secretary. If any nominee is not eligible or does not provide written consent, the nominee's name shall not be included on the ballot. The election shall then proceed by mailed ballot. Responsibilities: It shall be the duty of the Executive Committee to care for any matters committed to it by Senate, to function in place of the Senate between meetings of the Senate, to consider matters pertinent to Senate, including policies and protocol relating to university Convocations and functions, and to report to Senate. Membership: The Executive Committee shall consist of 21 members: the President; the Provost and Vice President: Academic; three of the academic Deans and University Librarian chosen by themselves; head of Martin Luther University College; two student members of Senate (one undergraduate student and one graduate student) elected by the student members of Senate; one Alumnus/a member of Senate; eleven faculty members of Senate one of whom may be the academic librarian; one administrative staff member of Senate. Of the eleven faculty members one shall be representative of each of the Faculties of Arts, Education, Music, Science, Social Work, Human and Social Sciences, Liberal Arts, and the School of Business and Economics. Of the remaining three one shall be the Secretary of Senate. The students, Alumnus/a, and faculty members of the Senate Executive Committee shall be elected at the annual meeting of the Senate from among its members. The presiding officer at Executive Committee meetings will be the Chair of Senate, or, the Provost and Vice President: Academic when the Chair of Senate is unable to attend, or, the Secretary of Senate when both the Chair of Senate and Provost and Vice President: Academic are unable to attend. The Secretary of Senate shall serve as secretary of the Executive Committee. Responsibilities: The Senate Academic Planning Committee makes recommendations to Senate on all matters related to the overall direction of academic programs at Laurier. This includes: adapting and modifying the overall university plan as required; responding to specific requests (from the Board of Governors or from the Ministry) to articulate a Laurier niche or position relative to a current situation or need; responding to requests from Faculties and units to initiate new programs, modify current programs, or cancel them; dealing with questions of policy that govern scholarships, bursaries and awards. As part of this broad mandate, SAPC oversees the program review and approval process run by the University under the Ontario Universities’ Council on Quality Assurance, managed by the Ontario Council of Academic Vice Presidents. In general, its role is to offer to Senate a considered conceptualization of where the University is, in what direction it should be heading, and what needs to be undertaken to accomplish this. Membership: The Senate Academic Planning Committee shall consist of 15 members: the Provost and Vice President: Academic; three ex-officio members of Senate (selected by the following officers from among their number: the academic Deans, the Dean of Martin Luther University College, and the University Librarian); one graduate student chosen by the WLU Graduate Students' Association; one undergraduate student selected from among their number by the student members of Senate; one faculty member elected by the seminary who is a senator; eight faculty members (one from each of the Faculty of Arts, Faculty of Education, Faculty of Science, School of Business and Economics, Faculty of Music, Faculty of Social Work, Faculty of Human and Social Sciences, and Faculty of Liberal Arts) elected by the University Faculty Council, two of whom must be senators. Two of the ex officio members of Senate shall be Deans of Faculties with undergraduate programs. The Provost and Vice President: Academic shall chair the committee. Responsibilities: The Senate Finance Committee considers the financial position of the University and its fiscal responsibility for maintaining all academic programs. It makes recommendations to Senate on budget planning as well as on the details of the annual University operating budget as prepared for presentation to Senate and the Board. The recommendations of Senate on that budget are forwarded to the Board of Governors, the body with ultimate fiduciary responsibility for the University. Membership: The Finance Committee shall consist of 17 members: the President; the Provost and Vice President: Academic; the Vice President: Finance and Operations; the Vice-President: Research; one academic Dean or the University Librarian, chosen amongst themselves; eight faculty members including at least two members of Senate and no more than one member from each of the Faculty of Arts, the Faculty of Education, the Faculty of Science, the School of Business and Economics, the Faculty of Social Work, Faculty of Human and Social Sciences, Faculty of Liberal Arts, and the Faculty of Music; one academic librarian; one member of the administrative staff; one undergraduate student; and, one graduate student. The chair of the committee shall be elected from among those members who have been elected to the committee as specified in article 5.1. Membership: The By laws and Regulations Committee shall consist of seven members of Senate, at least one of whom must be a student. The chair of the committee shall be elected from among those members who have been elected to the committee as specified in article 5.1. Responsibilities: The Promotion and Tenure Committee shall, in accordance with the policies and procedures governing its operations, make recommendations to the President on specific applications for promotion and tenure. Membership: As stated in article 15.5.2 of the Collective Agreement. The Senate Promotion and Tenure Committee shall consist of seven (7) voting members and the Vice-President: Research as a non-voting member. The voting members are: the Provost and Vice President: Academic, who shall chair the committee; the Dean of the Member’s academic unit; five (5) tenured faculty Members to be elected for two year terms by the University Faculty Council. An academic unit shall have no more than one elected Faculty Member on the Committee. In addition, the University Faculty Council shall elect, on the same basis as the elected members, five (5) tenured faculty Members as alternates, to serve for the remainder of the academic year, in the event that an elected faculty Member is unable to carry out required committee responsibilities. No faculty Member shall be a member of the Senate Promotion and Tenure Committee during the academic year in which he/she is to be considered for promotion. Pursuant to 22.3.3 (b), the committee shall also include one non voting member as an employment equity representative. When the Vice President: Academic is unable to carry out committee responsibilities, the President shall designate a replacement. When the Vice-President: Research is unable to carry out the required committee responsibilities, the Dean of the Faculty of Graduate and Postdoctoral Studies shall serve as an alternate. Responsibilities: The Research and Publications Committee shall review and examine policies on research as they affect the academic life of the University, and, where appropriate, make recommendations to Senate. Its mandate shall include receiving annual reports from the Animal Care Committee and the Research Ethics Board, and annually approving the distribution of funds within the University's internal research grants program. It shall also advise the Vice-President: Research on matters that pertain to research and its effective promotion and dissemination, and shall consult with the Director of the WLU Press on issues concerning scholarly publications. Membership: The Research and Publications Committee shall consist of 13 members: the Vice-President: Research; the Dean of the Faculty of Graduate and Postdoctoral Studies; the University Librarian; two graduate students; eight faculty members, not more than one from the same Faculty and including at least two senators. The chair of the committee shall be elected from among those members who have been elected to the committee as specified in article 5.1. Administrative Support: Office of Research Services. Responsibilities: Subject to the approval of Senate, the Honorary Degree Committee shall make policies regarding honorary degrees, shall invite nominations for honorary degrees, shall receive nominations respecting honorary degrees and make recommendation thereon to the Executive Committee of Senate. Membership: The Honorary Degree Committee shall consist of 12 members: the President; the Chancellor; the Provost and Vice-President: Academic; one senator from Martin Luther University College; one senator who is an Alumnus/a; five faculty members, including at least two senators and at least one faculty member from each of the Brantford and Waterloo campuses; one student senator; one administrative staff member. The President shall be chair of the committee. Responsibilities: The Student Appeals Committee shall hear and determine appeals from the decisions of the divisional faculty councils on applications and examinations by students and appeals relating to scholarships, bursaries and awards, and subject to the approval of Senate, shall establish rules and procedures for the hearing and determination of such appeals. The Vice President: Academic shall be chair of the committee. Membership: The Student Appeals Committee shall consist of 12 voting members: the Vice President: Academic who shall be chair; two undergraduate student members of Senate; one graduate student; and, seven faculty members (one of whom must be from each of the Brantford Campus, Faculty of Arts, Faculty of Education, Faculty of Music, Faculty of Science, Faculty of Social Work, and the School of Business and Economics). In addition, Senate shall elect seven faculty members as alternates, in the event that an elected faculty member is unable to carry out required committee responsibilities. The Dean of Students for the Brantford or Waterloo Campus of the University shall be an ex-officio, non-voting member of the committee, as appropriate. Administrative Support: Office of the Vice President: Academic. Responsibilities: The broad mandate of the Senate Committee on Teaching and Learning is to support and advance teaching and learning at the University. The committee shall send recommendations to Senate regarding university policies associated with teaching and learning, including institution-wide classroom and virtual teaching spaces, learning technologies, student accessibility, and student retention/success initiatives. The committee shall also adjudicate selected instructional development grant programs, referee the teaching and instructional assistant awards of excellence, and liaise with other university committees related to teaching and the student experience. Membership: The Committee on Teaching and Learning shall consist of 13 members: Associate Vice-President: Teaching and Learning, who shall chair the committee; one academic Dean or the University Librarian, chosen amongst themselves; one Dean of Students, chosen amongst themselves; six faculty members including at least two senators, at least one member from each of the Waterloo and Brantford campuses, and no more than one member from each of the Faculty of Arts, Faculty of Education, Faculty of Human and Social Sciences, Faculty of Liberal Arts, Faculty of Music, Faculty of Science, Faculty of Social Work, and the School of Business and Economics; one academic librarian; two undergraduate student senators; and one graduate student. The Senate may establish joint committees with the Board of Governors or with such other constituent bodies of the University as it may from time to time deem to be in the best interests of the University. 8.1a. Proposed recommendations shall be considered in a properly constituted regular or special meeting of the Senate or, in exceptional circumstances by the Executive Committee of Senate. 8.1b. Upon the resolution of Senate, or upon resolution of the Executive Committee of Senate as provided for herein, the said recommendation shall be presented to the secretary of the Board of Governors by the Secretary of Senate. 8.1c. The recommendation shall be in writing and normally shall be in the hands of the secretary of the Board at least ten working days prior to the day of the meeting at which it is to be presented. In the appointment of the President the Senate shall receive a report from the search committee and, meeting in camera as a committee of the whole, the Senate shall determine its advice which shall be transmitted to the Board. In the appointment of the Provost and Vice-President: Academic, the Vice-President: Finance and Administration, the Vice-President: Development and Alumni Relations, the Vice-President: Research, the Vice-President: Student Affairs, the Dean of the Faculty of Arts, the Dean of the Faculty of Science, the Dean of the Faculty of Music, the Dean of the Faculty of Social Work, the Dean of the School of Business and Economics, the Dean of the Faculty of Graduate and Postdoctoral Studies, the Dean of the Faculty of Education, the Dean of the Faculty of Human and Social Sciences, the Dean of the Faculty of Liberal Arts, the University Librarian, the Registrar, or the Associate Vice-President: Teaching and Learning, the Senate shall elect two faculty members of Senate to serve on the relevant search committee. These two members shall be full members of the committee. The members elected by the Senate will be ineligible for election from other constituencies. In the case of the appointment of the Vice-Presidents, the University Librarian, the Registrar, or the Associate Vice-President: Teaching and Learning, any faculty member of Senate is eligible to serve as a Senate representative. For committees appointed to search for a Dean of the Faculty of Arts, a Dean of the Faculty of Science, a Dean of the Faculty of Music, a Dean of the Faculty of Social Work, a Dean of the Faculty of Education, a Dean of the Faculty of Human and Social Sciences, a Dean of the Faculty of Liberal Arts, or a Dean of the School of Business and Economics, the two elected faculty members must be from a Faculty other than the one for which the Dean is being sought. In the case of a Dean of the Faculty of Graduate and Postdoctoral Studies, at least one of the faculty members elected must be from an academic administrative department which does not have a graduate program. The faculty members elected by Senate referred to in these procedures exclude the President, Vice-Presidents, Associate Vice-President: Teaching and Learning, Deans, University Librarian, and the Registrar, including an individual appointed in an acting capacity to serve temporarily in one of these offices, or one of these officers on an administrative leave that falls within a term of an office, or between two consecutive terms of office. The faculty members elected by Senate referred to in these procedures also exclude Martin Luther University College faculty. When a search committee has completed its deliberations, it will submit a report to Senate. Senate will meet in camera as a committee of the whole, and shall determine its advice which shall be transmitted to the Board. These procedures will apply to all search committees which hold their initial meeting after these procedures have been adopted by the Senate. In accordance with the procedures established by clauses 6 and 6.1, Senate will elect a Council of Ontario Universities Academic Colleague and an alternate to that position. The term of service will be three years. No individual may serve more than two consecutive terms in either of these two positions. That limit does not include time spent filling a vacancy which has occurred before the expiration of a term of office. To be eligible for nomination, an individual must be either the incumbent COU Academic Colleague or a member of Senate. The number of full-time faculty in each SRD is determined by consulting the report the University provides to WLUFA under Section 6.3 of the Collective Agreement. The numbers of faculty (and the total) and the number of faculty senators are the parameters of the apportionment problem. Step 1: For each SRD, calculate the target by multiplying the number of faculty in the SRD by a fraction obtained by dividing the required number of faculty senators by the total number of faculty. Step 2: Identify all SRDs with target not greater than 2.00. Assign 2 faculty senators to each of these SRDs. Step 3: Determine the parameters of the apportionment problem for non-minimal SRDs. Step 4: Recalculate targets, now called adjusted targets, for each remaining SRD. Step 5: Determine the initial assignment of senators by rounding down the adjusted target of each remaining SRD. Step 6: Determine each remaining SRD’s fractional part, which is the difference between its adjusted target and the number of senators it was assigned in Step 5. Step 7: Order the remaining SRDs in decreasing order of fractional part. Beginning with the remaining SRD with the largest fractional part, assign one additional faculty senator to each remaining SRD until the required number of faculty senators has been assigned. New by-laws and amendments to existing by-laws will be approved upon receiving affirmative votes from at least two-thirds of those voting, provided that the number of affirmative votes constitutes a majority of the total membership of Senate. In all by-laws of the Senate where the context so requires, or permits, the singular shall include the plural and the plural the singular and the word "person" shall include all firms and corporations. In regulating all matters not provided for in this, and in any other by-laws of the Senate, the practice and procedure shall be regulated by the analogy thereto. Any by-laws governing the Senate heretofore passed are hereby repealed. Unless otherwise provided for herein, all committees and councils of Senate shall operate and shall be governed in accordance with the by-laws of Senate and with the Act. This by-law (No. 1) shall come into force on July 1, 2018.